We report occasionally in this space about upstanding people who've been ordered out of Canada on some technicality or other, wringing our hands at the unfairness of it all. But the bizarre case of Ashkan Forsat flips that familiar scenario on its head. Here's a guy we'd all dearly love to be rid of, but we're stuck with him like gum on the sole of our shoe. 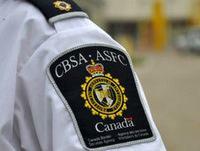 According to Postmedia News, Canada Border Services Agency (CBSA) has been trying to deport the Iranian-born violent career criminal since 2004. Trouble is, Iran won't take him back. Forsat, born in 1978, arrived in Canada a decade later when his family was admitted as refugees. By 19, Forsat had racked up a serious criminal record, including a violent armed robbery, Postmedia News said. Deportation proceedings began in 1997. In 2004, Canada Border Services finally put Forsat, then 26, onto a plane to Tehran but Iranian authorities refused to accept him when he landed. "You pressed your nose against the door of the airport in Tehran," Immigration and Refugee Board commissioner Louis Dubé commented during a hearing three days after Forsat arrived back in Canada. Iran never spelled out why they turned back Forsat or why it continues to refuse him, Postmedia News said. Dubé suggested at the time that it was politics — Canada-Iran ties were strained over the death of Iranian-born Montreal photojournalist Zahra Kazemi at the hands of Iranian interrogators. Of course, things have gotten worse since then, with Canada ordering Iranian diplomats out of the country and closing its embassy in Tehran amid a hard line by the Conservative government against the country's nuclear program. Postmedia News reported that since arriving back in Canada in 2004, Forsat faced seven more criminal cases, including a 2005 kidnapping charge in which he shot a gun that grazed a man's ear. The Montreal Gazette reported at the time that Forsat was initially ordered deported in 1997 but challenged the order. He was in custody in 2001 when he escaped from a prison van taking him for a deportation review hearing but was arrested a month later while committing an armed robbery. Forsat served all of his seven-year prison term for the kidnapping after being denied parole because, among other things, he was deemed a high risk to re-offend and his "potential for being reinserted into society [is] weak," according to a psychologist's report. When his sentence expired in June 2010, Forsat was transferred to CBSA custody as attempts to deport him were revived. He was granted a supervised release in 2011 after telling a hearing he was ready to change his ways. But he was arrested only six weeks later for breaking into a Montreal-area home and assaulting a woman. Forsat remains in custody at a Quebec detention centre, Postmedia reported.